Each time I write an article I contemplate no longer using the word “nostalgia” when describing JRPGs. The word insinuates that this type of game represents a time long past and that simply is not the case. 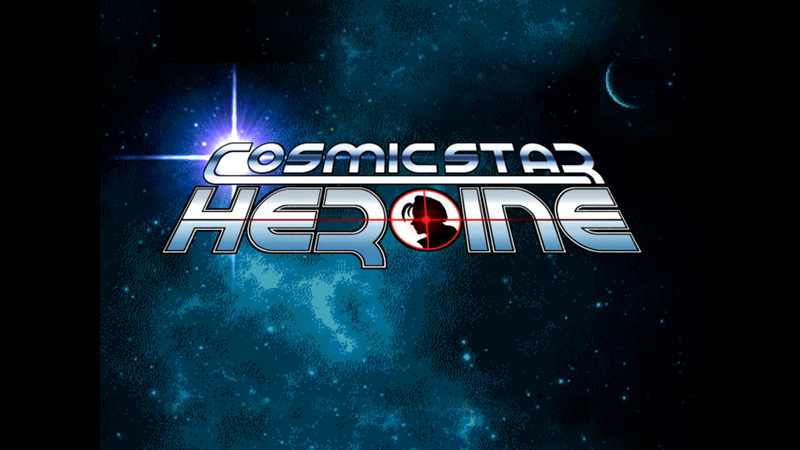 The indie development scene has kept it alive and kicking with Cosmic Star Heroine being the most recent addition. There has been a subset of people craving games with an old school look and feel and this game may be it. We recently had I Am Setsuna as a “spiritual successor” to Chrono Trigger. While it scratched a definite itch, Cosmic Star Heroine is promising a bit more and here are 5 reasons to check it out. As a Kickstarter Project dream, the developers at Zeboyd Games promised a sci-fi JRPG romp to come out for the PS4, Vita, Mac and PC. The team set a goal of 100k and surpassed it with the support of fans. For people that believed the genre to be “dead” there is a niche section of gamers that does not buy into the hype. The site also mentions respecting your time because we are all adults and have things to do right? On the site, the developers note a few key features like the ability to save anywhere, turn based combat, 2D style combat and minimal grinding. The game boasts the ability to recruit allies, upgrade your base and unique character customization. Think along the lines of the Suikoden series. The site also mentions respecting your time because we are all adults and have things to do right? The game appears to be taking notes from the old Squaresoft handbook and I am ready to dive right in. When most people mention beautiful graphics the most realistic games come to mind like Horizon Zero Dawn or Nier Automata. But during the time when 16 bit graphics reigned supreme, this game is a marvel. The sprites are more reminiscent of Chrono Trigger or Asdivine Hearts with their style. The sprites may be small but they have a lot of personality. With the inclusion of animated cut scenes I know gamers will be in for a treat. The story follows the heroine Alyssa L’Salle who is an intergalactic spy. She routinely saves the day without the public knowing until she accidentally uncovers a dark conspiracy in the Galactic Government. When they find out she knows too much, her employers blow her cover as a spy which makes her an immediate media sensation. Alyssa has to avoid her newly acquired fan base while stopping the dark scheme of the Galactic Government that wants to destroy her. She won’t go on this adventure alone though. She will be able to recruit a colorful cast of characters and I can’t wait to meet them. You read correctly. If you buy this game on your PS4 you can also play it on the go for your Vita. Which is great because unfortunately the Vita version will not be immediately available on launch. They mentioned that it will be released soon after and with the cross-buy option the wait will be worth it just to see the game fulfill it’s goal. Cosmic Star Heroine is set to release on April 11th, 2017 for the PS4 and Steam. Does this game interest you? Have you heard anything about this game before reading this article? Let us know in the comments below.